"You asked. We listened. You wanted us to remove high fructose corn syrup, so we did. And you know what? We've also never had any artificial colors, flavors, or preservatives. See for yourself with our clear-bottom pouch. 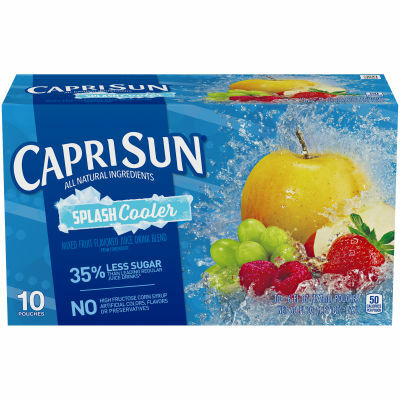 *This product has 13g sugars; leading regular juice drinks have 22g sugars per 6 fl oz serving."